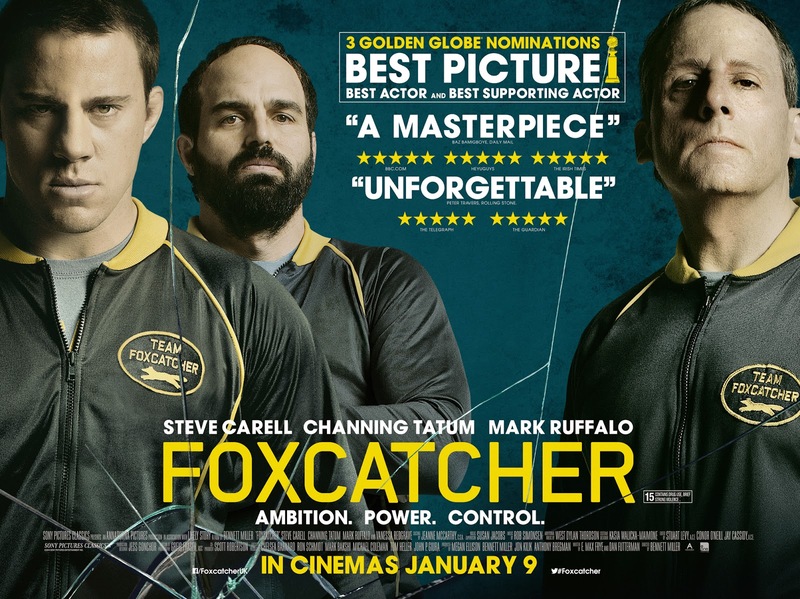 Hot off the heels of its Golden Globe nominations including Best Motion Picture (Drama), Best Actor in a Motion Picture (Drama) - Steve Carell and Best Supporting Actor in a Motion Picture - Mark Ruffalo, Entertainment One UK Ltd is delighted to bring you the brand new quad for Foxcatcher. Also starring Channing Tatum and directed by academy award nominated Bennett Miller, this breathtaking new psychological thriller hits the UK cinemas on the 9th of January 2015. Based on shocking true events, FOXCATCHER is a psychological thriller which tells the fascinating story of Olympic gold medal-winning brothers Mark and Dave Schultz and their tragic relationship with a multi-millionaire benefactor, John du Pont. Directed by academy award nominated Bennett Miller (Moneyball, Capote), FOXCATCHER stars Steve Carell, Channing Tatum, Mark Ruffalo and Vanessa Redgrave.